Solving the Brain Puzzle is a thorough work for those interested in whole-brain health. Bill Code’s Solving the Brain Puzzle draws from Code’s experiences as a medical professional and multiple sclerosis patient to comment on total brain health. A first-person account of neurological health, the book’s primary audience is patients who have been diagnosed with brain or neurological disorders, especially those without good mainstream medical treatments. It addresses conditions including Parkinson’s disease, PTSD, ADHD, and strokes. It blurs the line between neurological and psychological problems, tying behavioral issues to brain health as well. Much of the text focuses on explaining the root causes of conditions in plain language for non-medical laypeople. Multiple sclerosis is the most addressed condition, and the book advocates a holistic approach to brain support for it, with special emphasis on diet and nutrition. It also emphasizes the importance of quality medical and neurological care. Code’s strategies for managing multiple sclerosis are informed by his background in anesthesiology. The book also features guest experts, including a naturopathic doctor. Some of its positions stand at odds with wider medical doctrine, particularly its skepticism of vaccines, but by and large it supports its claims with published, peer-reviewed studies. Code often acts as his own case study, imparting information about what has worked for him as he has endeavored to treat his own condition. The text covers a range of neurological problems, causes, and treatments. Code goes to great lengths to cover all medical situations that the average person may encounter, including using over-the-counter painkillers and gardening for exercise and nutrition. The text ranges into general good-health practices as well, leaving its main topic for general lifestyle and diet advice. This doesn’t damage the book’s focus, but it does lengthen the work. The book is not organized by malady, but instead by major treatment topics and physiological categories. For example, its section on supplements addresses various sicknesses throughout. Those researching particular diseases or conditions will need to use the index. While intended for people who have been diagnosed with a brain problem, the text’s advice is broadly applicable, and portions of it may interest anyone concerned about brain health in a prophylactic way. Accessible language helps to explain complicated concepts well, and citations are listed in detail in the back of the book. 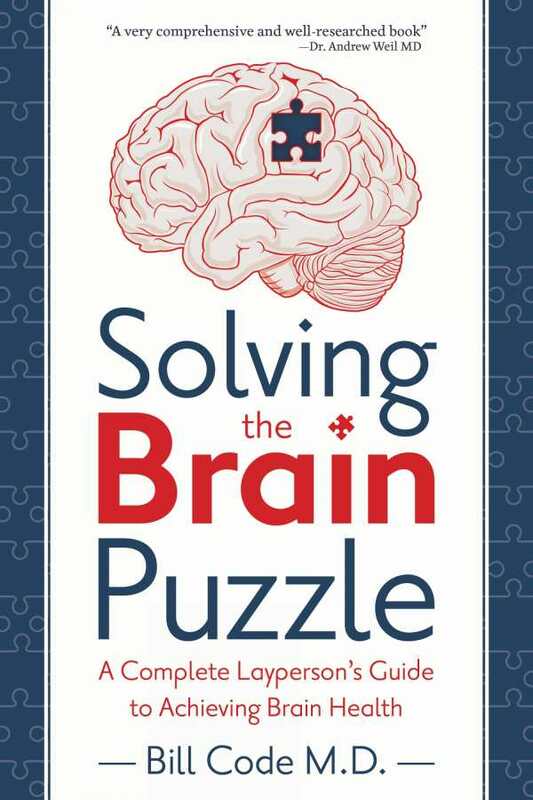 A thorough work for those interested in whole-brain health, Solving the Brain Puzzle covers ample ground.